In September – October 2011 Tracey and Marty were artists in residence at the Babayan Culture House, in Ibrahimpaşa, a small rural village in the Cappadocia region of Turkey. 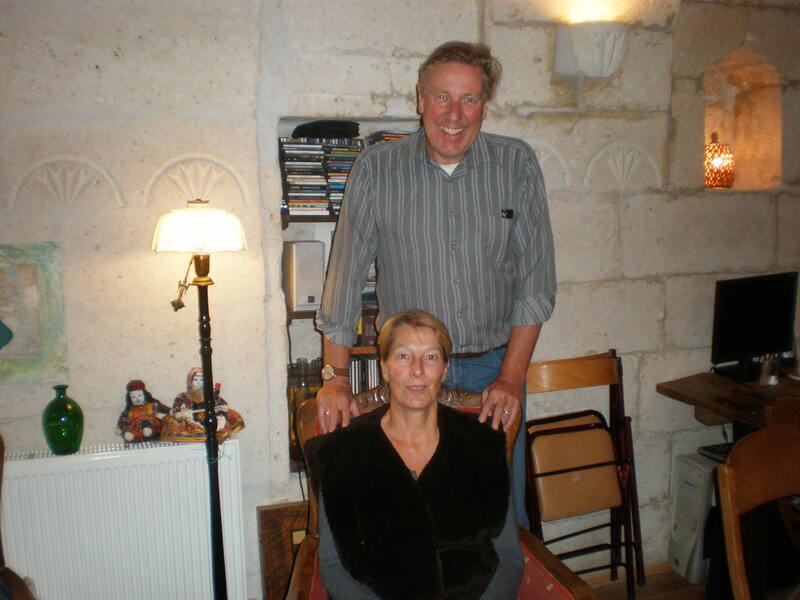 The residency is managed by a Dutch couple: artist Willemijn Bouman and artist, musician and composer Paul Broekman. We had a cave studio while we were at the Babayan Culture House, which was fantastic! We decked it out with some lovely kilims that Willemijn had stowed away and it was a great place to get us away from working with our computers. During the residency we focused on ideas of location and mapping from the perspective of being cultural strangers, with some interesting results as well as a number of major works which will probably take around six months to complete. While we were there, our friends artists Sonja van Kerkhoff and Sen MrGlinn visited and Sonja did a performance in the town square with her caravanseri of origami elephants. We met some wonderful people who we would like to thank for their friendship and hospitality: Willemijn and Paul for their fantastic residency, fabulous food and support, Mehmet Ali and his fantastic Wunderkammer and Mehmet from Babayan Evi hotel who helped us when we fist arrived and then also invited us to his lovely hotel for some delicious meals. Also a big thanks to Kuş Mehmet for trying to teach us to speak Turkish and for his delicious spicy tost. I will especially miss Sule who owns a wonderful shop in Ürgüp called Sultan Mehmets and who I spent many hours chatting with about all manner of things. We have become firm friends and I hope that we stay in contact and meet again soon. Our experience in Cappadocia has just been magic – it is an amazing place in terms of its history, geological and geographical features, made all the more special because of the people who we have been privileged to meet and now call our friends.